Whether it’s eradicating garlic mustard, counting frogs or adopting a park, volunteering is a great way to preserve Michigan’s natural resources. STEVENSVILLE – Standing in the warm sunlight with his hard-won prize in hand, the grin on 7-year-old Bradlee Gehlhoff’s face is infectious. But unlike most kids these days, Bradlee didn’t catch Pokémon – he caught a fistful of the invasive garlic mustard plant. 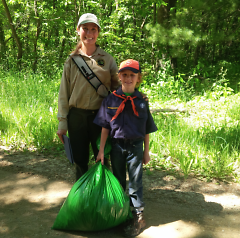 Heidi Frei, a state Department of Natural Resources natural resources steward for Southwest Michigan, said volunteers such as Bradlee and his mom make a world of difference every day across the Great Lakes State. “I always tell people that I have the best job in the DNR. I get to work with volunteers and we target the spots in our 103 state parks and recreation areas where we can make the biggest impact,” said Frei, who met Bradlee when his Tiger Scout troop began volunteering this summer with the DNR. Garlic mustard is an invasive plant producing a chemical that suppresses the growth of other plants. It’s a growing problem in Michigan, and DNR volunteers regularly participate in “search-and-destroy” missions in state parks and recreation areas to bag up the plants and the thousands of seeds they carry. “We are truly fortunate that so many citizens volunteer their time and resources and every day to help protect and preserve our forests, waters and wildlife,” said Carol Rose of the Michigan Wildlife Council. The Michigan Wildlife Council was created three years ago to promote the importance of conservation and wildlife management to the state’s natural resources and outdoor traditions. The council knows much of the day-to-day conservation efforts come from grassroots volunteers allied with nonprofit organizations, local and state agencies, and philanthropic groups. Whether it’s eradicating garlic mustard, counting frogs or adopting a park, volunteering for the DNR is a great way to preserve Michigan’s natural resources. “People who come out really want to give back. They love our parks systems, they love learning in a hands-on way about things like invasive species, and they want to know how they can help protect places that are special to them and to the whole state,” Frei said. Volunteer opportunities with the DNR include restoration and cleanup; wildlife observation; education and services; and donations. Frei said Michigan residents volunteer about 10,000 hours annually with the DNR. And their work makes a dramatic difference. 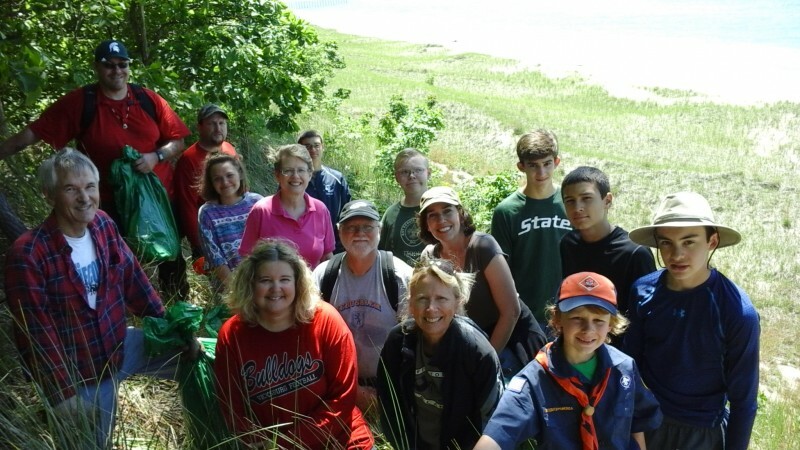 “I’m based in Southwest Michigan, and I know for certain that places like Saugatuck Dunes, Hoffmaster and Muskegon state parks would be entirely different places without the volunteers who have done so much work there,” Frei said. A popular way to volunteer is on DNR Stewardship Workdays. “We have ongoing workdays at parks and recreation areas all over the state. The biggest thing is invasive species control, as well as a fair amount of seed collection of native plants that are used the following year to re-establish native tall grass prairies,” Frei said. New volunteers are always welcome – whether individually or as a group. “There’s never enough hands out there, and the impact is something truly lasting,” Frei said. Volunteer information can be found at www.michigan.gov/dnrvolunteers. Ducks Unlimited is the world’s largest nonprofit organization dedicated to conserving North America’s wildfowl habitats. Established in 1937, Ducks Unlimited has conserved more than 13 million acres thanks to contributions from more than a million supporters. “We’ve conserved more than 70,000 acres in Michigan alone,” said Chris Sebastian, public affairs coordinator for Ducks Unlimited. Ducks Unlimited and its 60,000 volunteers nationwide restore grasslands, watersheds and forests so ducks such as mallards, pintails and teal can conceal their nests, raise their young and flourish. There are nearly 27,000 members in Michigan Ducks Unlimited, who raised $1.9 million last year to fund conservation efforts. In Southwest Michigan, volunteer members come from all walks of life, but all are dedicated to conservation, Sebastian said. Some join to preserve Michigan’s hunting heritage. Others want to conserve the wetlands they love. Organized Ducks Unlimited outings are a great chance for any volunteer to lend a helping hand, Sebastian said. But you don’t have to be a duck hunter to join in. Volunteer information can be found at www.ducks.org/get-involved/volunteer/signup or by calling 1-800-45-DUCKS. Michigan Trout Unlimited and its 7,500 members go above and beyond to conserve, protect and restore the state’s cold-water fish and their watersheds. “Michigan is an important part of our history because that’s where we were founded (in 1959), and we still have a very strong volunteer base here,” said Mark Taylor, eastern region communications director for Trout Unlimited. Because Michigan is blessed with a vast wealth of unique trout streams, 11,000 inland lakes and the Great Lakes, ecologists say it is vital to preserve them. Trout Unlimited does its part through stream improvements, education, research and collaboration with other conservation groups and governmental agencies. Trout Unlimited is active in all corners of Michigan. Local chapters work with the DNR and watershed councils to construct stream improvements, monitor aquatic organisms and water quality, host educational programs and fundraising. In Southwest Michigan, Trout Unlimited chapters are often focused on the Rogue River in Kent County. The river is an important trout fishery in southern Michigan and the Grand River’s only large cold-water tributary. Growth and development in Grand Rapids threaten the Rogue River’s ability to support cold-water species, said Nichol De Mol, a home rivers initiative project manager for Trout Unlimited. “The goal of the Rogue River Home Rivers Initiative is to protect and restore the water quality in the watershed by reconnecting communities to the lands and waters that sustain them,” De Mol said. Efforts include removal of the Rum Creek Dam and a “green” infrastructure plan for the Rogue River Watershed. Volunteers assist with restoration projects on local rivers and streams and help educate young people about environmental stewardship, De Mol said. Anyone interested in learning more about Trout Unlimited should check out the organization’s website and consider attending a monthly meeting at a local chapter, Sebastian said. Volunteer information can be found at www.michigantu.org/ or by calling 517-599-5238. How many of us want to be environmental stewards but just don’t know where to turn? Lori Phalen has a solution. 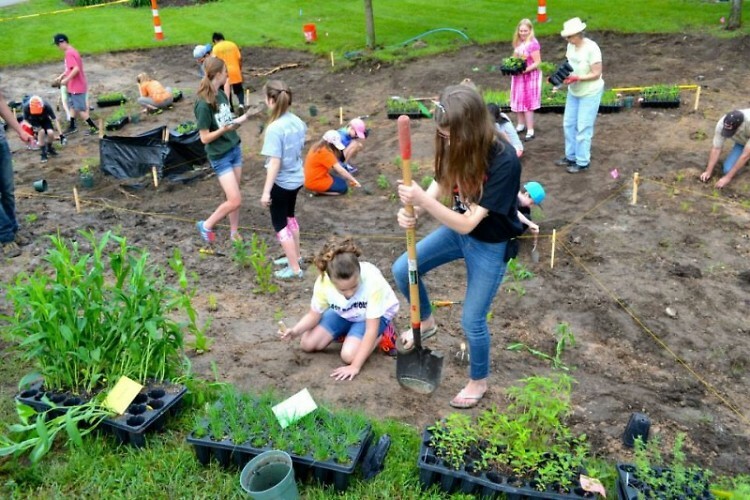 “A great first step is connecting with your local conservation district, which will connect you with the broader conservation community,” said Phalen, executive director of the Michigan Association of Conservation Districts. Michigan’s 77 conservation districts are local providers of natural resource management services that help residents conserve their private lands and the environment at large. A locally elected board of directors governs each conservation district. “The guiding philosophy of Michigan conservation districts is that local people should make decisions on conservation at the local level, with technical assistance provided by the government,” Phalen said. The districts provide conservation programs and services, as well as link landowners and managers to other available programs. They assist in education and natural resource programs including agriculture, wildlife, forests, dunes and energy conservation. “They’re a one-stop shop of information and programs that are available to assist citizens in being better stewards,” Phalen said.